When I heard that Alex Chapman was involved in one of UWA’s Honey Bee Products Cooperative Research Centre (CRC) projects, I felt like coming to the inception meeting with my smoker blazing and the bee suit on! I was fascinated by the various Bee CRC projects that Alex has discussed with us in his time there. As a hobbyist beekeeper and a spatial analyst, I started thinking about other ways technology could play a role in providing a better outcome for beekeepers, the general public and the local government. I have to say that it’s not easy to manage the European Honeybee (Apis mellifera). Populations need to be controlled and hives managed properly to avoid swarming and spreading diseases. Also, professional beekeepers need to move hives to follow seasonal flora changes if they want to maximise profit. Alex’s background in botany was useful to the CRC in helping collate data on flowering cycles of the native plant species that honey bees used for foraging for nectar and pollen. Converted to suit a web map or in the form of spatial matrix, this data becomes an invaluable resource for migratory beekeepers. It would allow them to track nectar flows and anticipate which sites will be most abundant in their target species at certain times of the year. As you may know, major WA target species are Jarrah and Marri. Honey gathered from those eucalypts is at least on par with New Zealand’s Manuka Honey (made from an Australian species of Leptospermum). They have strong antimicrobial properties, are high in antioxidants and good for the gut. 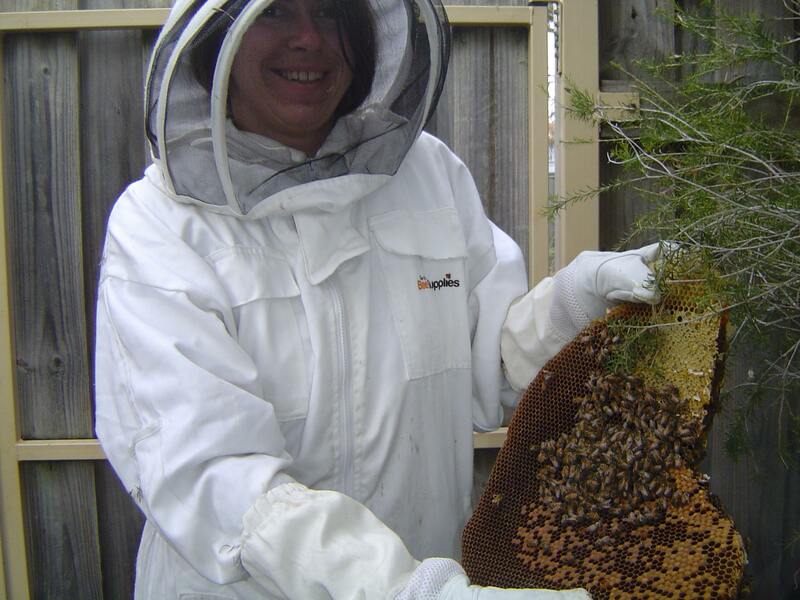 They also come from an environment that is not marred with Varroa destructor – this means that hives are not treated with chemicals and honey has no residue in it. Alex showed me the draft of the Flowering Calendar that he has been prototyping for the CRC. This example interactive map shows Myrtaceae species seasonal flowering patterns. Access to an online flowering calendar would give migratory beekeepers an idea where their target species are most abundant. 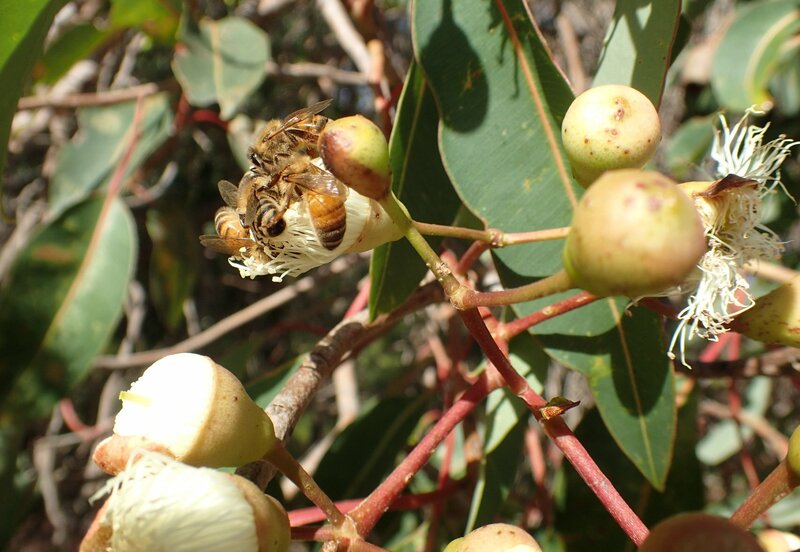 If, combined with the current DBCA WA Beekeepers app as Alex has previously blogged about, it could also show the migratory beekeepers what apiary sites are available in the areas they are interested in. The only improvement I would suggest here is providing data on available apiary sites and maybe even adding a way to pre-book areas for a certain amount of time. At the moment there are a few apps out there, mainly concerned with monitoring the progress of hives, honey production and record keeping. There are other ways apps could make our lives easier – including identification of the feral hives, disease information and helping the migratory beekeepers… but I have a few ideas that Alex and I have been discussing, and I’ll post more on that in a second blog. Barbara will give us some of her ideas on these potential app ideas in part 2, coming soon! In the meantime, if you’d like to give us your feedback on these tools, or would like to know more about how we can help you with research programs, data management or spatial information systems, then please leave a comment below, start a chat with us via Facebook, Twitter or LinkedIn, or email Alex directly via alex.chapman@gaiaresources.com.au. « What is Natural Resource Management?